Carlisle Ford Nationals is the largest all-Ford show in the world with over 3,000 vehicles spanning Ford’s production history. The Carlisle Fairgrounds isn&apos;t the only place where car lovers will want to visit while in-town for the car show. 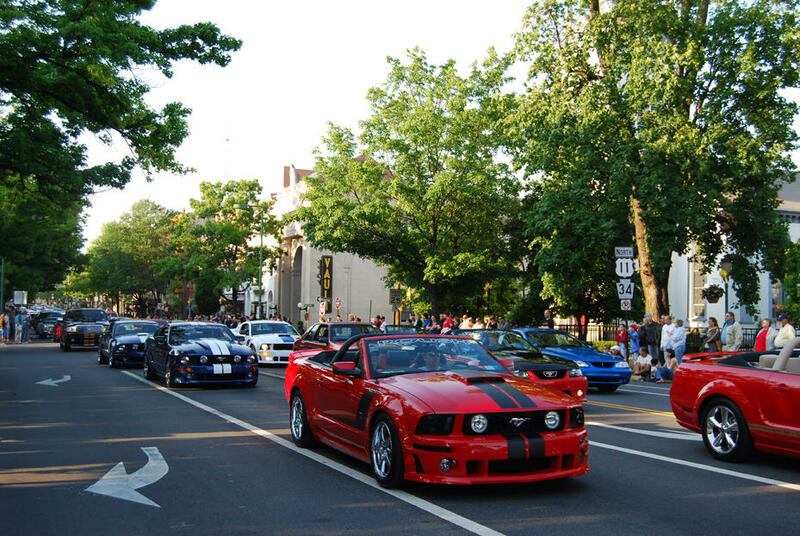 Ford Parade - The Ford Parade and Downtown Street Party takes place in downtown Carlisle Saturday night. While downtown, enjoy one of the many places to eat. Williams Grove Speedway - Williams Grove racing events take place each Friday and Saturday night in Mechanicsburg. Friday night features the 410 Sprints and 358 Sprints Challenge. Sportsman and 358 Late Models run the track on Saturday night. Rolls Royce Museum - The Rolls Royce Museum in Mechanicsburg showcases historic Rolls Royce vehicles dating back to 1929. The Museum is open Monday-Friday. Antique Automobile of America Museum - Located in Hershey, these vintage vehicles have history dating back to the 1800s. Rare and one-of-a-kind automobiles are always on display. The museum is open 9am-5pm daily. The celebration lasts all weekend around the Cumberland Valley. First Friday - First Friday events take place in downtown Carlisle and Mechanicsburg. Foundry Day - Foundry Day continues on the first Saturday in June every year. The juried arts and craft festival is an event the entire family will enjoy. When you&apos;re in town for the car show, take some time to reflect on the rich history and outdoor attractions of the Cumberland Valley. Step back in time and follow the traces of the Revolutionary and Civil War throughout the Cumberland Valley. Visit the statue of iconic Revolution War figure, Molly Pitcher in downtown Carlisle. Military history buffs will also enjoy the U.S. Army Heritage & Education Center and the Carlisle Barracks, both just minutes away from the Carlisle Fairgrounds. The Cumberland County Historical Society in downtown Carlisle provides great history of the Cumberland Valley. Whether you&apos;re on foot, bike, land, or water, the Cumberland Valley has something for all outdoor types. Hike on the famous Appalachian Trail, or at one of three state parks, Kings Gap Environmental Education Center, Colonel Denning, and Pine Grove Furnace. The Cumberland Valley Rail Trail connects Newville and Shippensburg, and provides walking and biking opportunities in a scenic setting. Carlisle Sports Emporium - Get behind the wheel yourself and race at one or all three go kart courses. Competitors in the family will enjoy attractions like mini golf, rock climbing, arcade games, and laser tag. Army Heritage Trail - Walk the outdoor museum and reflect on the storied past of the United States military. Located at the U.S. Army Heritage & Education Center in Carlisle, this one-mile course showcases each era of the U.S. Army, with full-size exhibits and artifacts. Looking for more? Check out the 50 Fun-Filled Trip Idea. With all these great things to see and do at Ford Nationals and the surrounding Cumberland Valley, you&apos;ll want to stay the whole weekend. Compare rates, find car-friendly amenities and book online at the Official Lodging for Carlisle Events.